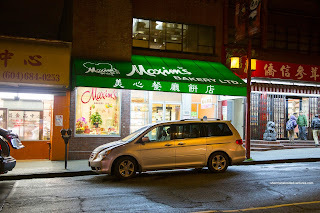 Looking for a quick meal in Chinatown (which is really a shell of its former self), we looked at the available options and ended up at Maxim's. Maxim's? Yah, this particular location adds a Hong Kong-style restaurant above their bakery. The last time I visited the place, I was still playing with Transformers and just beginning to find out the benefit of an Oxy pad. So I figured it was as good as any time to do a revisit, especially with the kiddies as they seem to love this type of food. To keep things simple to start, we got the Brisket Rice Noodles in a super clear broth. In fact, the broth wasn't only clear, it ate like it too being far too bland. We realized that is how the broth is supposed to be like, but it still needed more impact. 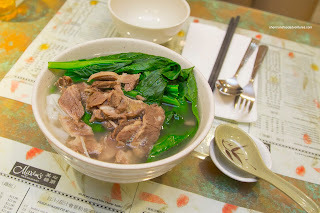 The flat rice noodles were slippery and not overdone while the sliced brisket was fatty and tender. Next up, I decided to sneak the Ox-Tongue Spaghetti to the kiddies. Hey, I was honest in saying it was "tender beef"... 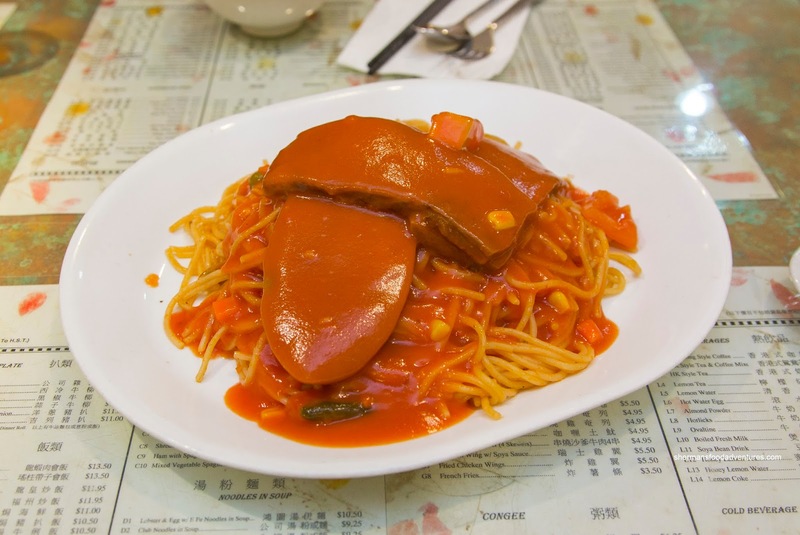 Yes, the tongue was tender and moist while maintaining a bite. Also on point, the spaghetti was nicely al dente. Of course it was all brought together by the watered-down and thickened ketchup sauce. I liked how there was a balanced tanginess to counteract the sugar. 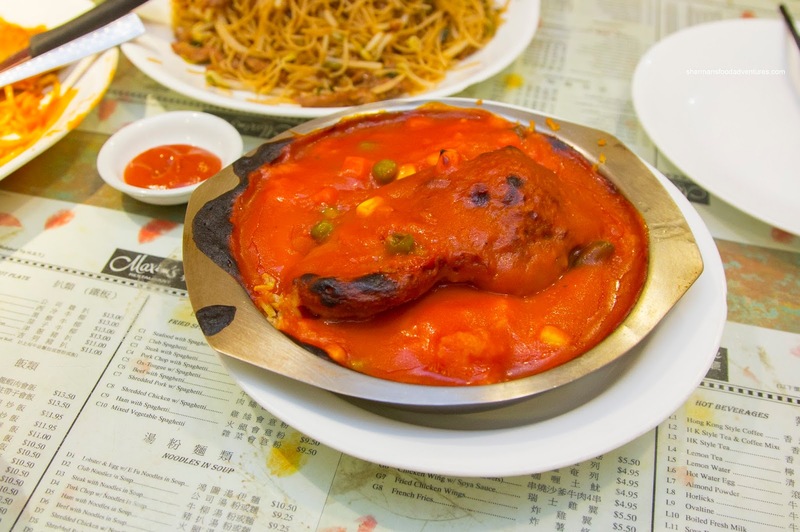 With a similar type of sauce, the Mini-Pork Chop Rice was ever so lightly baked. Like the brisket noodles, it included a hot drink. A touch soft, the fried rice took on more moisture from the ample sauce. Boneless and succulent, the fried pork cutlet was a fair size for the price. 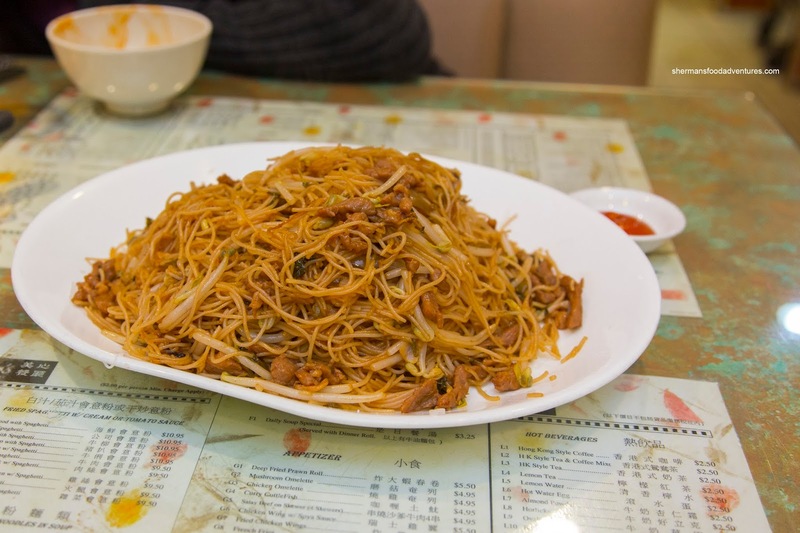 Our last dish was the Stir-Fired Rice Vermicelli with pork and pickled vegetable. Although subjected to sufficient wok-heat, the dish itself was underseasoned. We had to use hot sauce for full-impact. With that being said, the noodles were appealingly chewy while there was a good amount of ingredients strewn throughout. Although the dish was not particulcarly flavourful (as with the others), the food was still satisfying and inexpensive.